Pycnogenol is the registered trademark name for a product used in the management of a range of disorders including allergies, circulation problems, tinnitus, high blood pressure, osteoarthritis, and diabetes. The product is derived from the bark of a tree, Pinus Pinaster, though some other natural sources like peanut skin and witch hazel bark also possess the active ingredients present in Pycnogenol. The patented formulation of Pycnogenol obtained from the Pine Bark Extract is standardized to contain 65-75% of Procyanidin compounds by weight. These are chain-like structures of catechins that are similar to those found in green tea. Some other sources of Procyanidins include Cocoa Polyphenols and Grape Seed Extract. Pycnogenol possesses substances, which improve the blood flow, stimulate the immune system and provide an antioxidant effect. Its anti-oxidant and anti-inflammatory properties are confirmed in humans. The different research studies proving the health benefits of Pycnogenol are discussed beneath. Pycnogenol has been found to improve the endothelial functions in the patients with hypertension thus allowing for better control over their blood pressure. This benefit was confirmed in a double-blind, placebo-controlled, parallel group study that included 58 patients suffering from hypertension. The patients were supplemented with 100 mg Pycnogenol for a period of 12 weeks and its effect on their blood pressure was recorded at regular intervals. 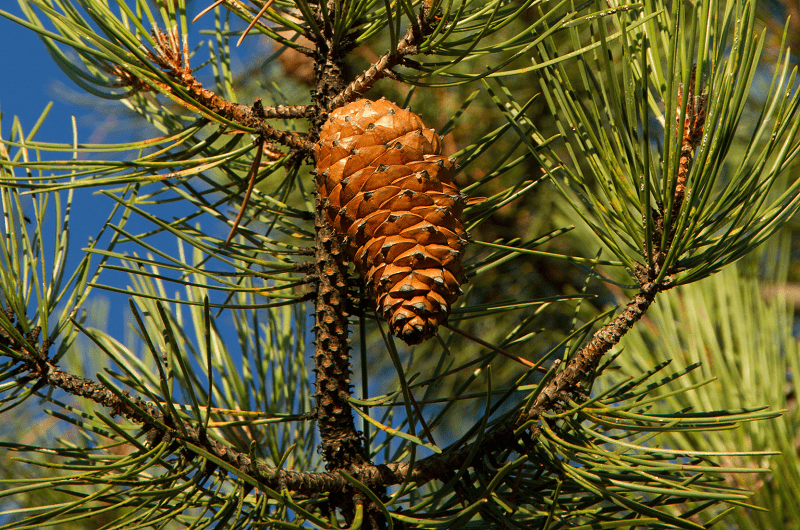 It was found that this pine bark extract helped to reduce the dose of antihypertensive drugs taken by the patients. They could achieve better control over their blood pressure with a much lower dose of a calcium antagonist, NIFEDIPINE, compared to the dose prior to the study. An increasing body of evidence suggests that Pycnogenol has favorable pharmacological properties owing to its high nutritional content. The chemical identification studies have shown that Pycnogenol is composed of phenolic acids and Procyanidins. Procyanidins are biopolymers of epicatechin and catechins subunits that are recognized as essential constituents for human nutrition. Pycnogenol provides a wide range of Procyanidins including taxifolin, monomeric catechin, and oligomers that have more than seven flavonoid subunits. Pycnogenol offers a nutritional advantage by supplying the body with these nutrients while also being low in causing any form of acute or chronic toxicity. These ingredients in Pycnogenol make it an effective product for the treatment of retinal micro-hemorrhages, and chronic venous insufficiency. Regular use of Pycnogenol can provide multiple health benefits mainly due to its high content of these nutrients. The anti-oxidant effect of Pycnogenol involves its role in the protection and regeneration of vitamin E and C. It boosts the efficacy of these vitamins and prevents the damage caused to the normal cells and tissues of the skin, gums, and immune system by the free radicals. It protects these organs from the potential damage and helps in preventing several disorders. Pycnogenol can be used to protect the skin against sun damage and several other diseases. Exposure to the sun is a major cause of most skin conditions including acne rosacea, sunburns, and skin cancer like melanoma. Excessive exposure to the sun is also a factor that can cause an early formation of wrinkles and fine lines. Hence, protection of the skin from the harsh sunrays is important for preventing these conditions. Photo-protection involves nutritional strategies that benefit the skin health by preventing the damage caused by the ultraviolet radiation in the sunrays. Pycnogenol can work as an effective medication in this regard and help in the management of sunburns. These properties of Pycnogenol are highly beneficial in the treatment and prevention of wrinkles, fine lines, acne rosacea, sunburns, and melanoma. The study proved that Pycnogenol can improve the cosmetic appearance of the skin and relieve the diseases caused or worsened by the dryness of skin such as allergy, and eczema. Pycnogenol, the pine bark extract, can help augment the endothelium-dependent vasodilation thereby providing protection against disorders caused by endothelial dysfunctions. Endothelial dysfunction is a pathological state involving the inner lining of the blood vessels. It results from an imbalance between the vaso-constricting and vaso-dilating substances acting on or produced by the endothelium. It can lead to atherosclerosis resulting in a higher risk of myocardial infarction, stroke, and peripheral vascular disease. Pycnogenol consists of high concentrations of water-soluble polyphenols, bioflavonoids like catechins and taxifolin, and phenol carbonic acids. These substances help to enhance the endothelial nitric oxide synthase expression and the subsequent release of nitric oxide from the endothelial cells. These effects play a role in the prevention of endothelial dysfunctions. A randomized, double-blind, active drug and placebo study was conducted to determine the effect of Pycnogenol on the endothelium-linked vasodilation. During the study, the forearm blood flow in response to an endothelium-dependent vasodilator called acetylcholine and an endothelium-independent vasodilator called sodium nitroprusside were recorded in healthy young men. The readings were taken before the study and 2 weeks after the participants were administered 180 mg of oral Pycnogenol daily. The forearm blood flow was measured with the help of strain-gauge plethysmography. At the end of 2 weeks, it was found that Pycnogenol augmented the response of forearm blood flow to acetylcholine whereas no change in the same was observed in the placebo group. The sodium nitroprusside-stimulated vasodilation was found to be similar to the reading taken before and after 2 weeks of study in the control group as well as the Pycnogenol group. Pycnogenol can work as an effective remedy for managing erectile dysfunctions. Erectile dysfunction refers to the inability of a man to achieve or maintain an erection. Penile erection is achieved through the relaxation of the cavernous smooth muscles. It can be triggered by nitric oxide. The possibility of managing erectile dysfunction by increasing the amount of endogenous nitric oxide was studied during research that included oral administration of Pycnogenol. Pycnogenol is known to boost the production of nitric oxide by nitric oxide synthase along with L-arginine as a substrate for this enzyme. During research, 40 men, aged between 25 and 45 years, were treated with 3 ampoules of Sargenor per day for 3 months. Sargenor is a solution of the dipeptide arginyl aspartate, which is equivalent to 1.7 g of L-arginine. During the second month, the Sargenor treatment was supplemented with a 40 mg dose of Pycnogenol, twice per day. In the next month, the daily dose was raised to three 40-mg tablets of Pycnogenol. Additionally, Pycnogenol was well-tolerated by the patients as was evident from their ECG, creatinine, electrolytes, and blood urea nitrogen levels. The study confirmed that supplementation with Pycnogenol can be an effective treatment for type 2 diabetes. The efficacy of Pycnogenol for alleviating the symptoms associated with menopause was evaluated in a study in which 38 women were given this supplement in a dose of 100 mg per day over a period of eight weeks. The menopausal symptoms of the women in the experimental and placebo groups were evaluated during the period with the help of a scoring system based on 33 common symptoms. It was found that Pycnogenol was well-tolerated by the women with no apparent side effects. The symptoms were evaluated with values ranging from zero, which marked an absence of the symptom, to a maximum of 4,which marked a very high intensity of the symptom. A subset of six symptoms including hot flushes, mood swings, night sweats, irregular menses, vaginal dryness, and loss of libido showed a decline in intensity after 8 weeks of Pycnogenol use while there was no significant change in these symptoms in the control group of women. Attention Deficit/Hyperactivity Disorder (ADHD) is a common behavioral disorder mainly affecting children. Pycnogenol has been shown to cause a remarkable improvement in the symptoms of ADHD such as lack of concentration, hyperactive behavior, and impulsivity. During a placebo-controlled, randomized, double-blind study, sixty-one children diagnosed with ADHD were supplemented with 1 mg of Pycnogenol per kg body weight per day over a period of 4 weeks. The symptoms of the patients were evaluated at the beginning of the trial, 1 month after the treatment and a month after the end of treatment period with standard questionnaires. The evaluation techniques included methods like Conner’s Teacher Rating Scale, CAP teacher rating scale, Wechsler Intelligence Scale and the Conner’s Parent Rating Scale. A relapse of the symptoms was noted when the patients were evaluated one month after the end of the treatment. The results point at the continued use of Pycnogenol as an effective therapy for relieving the symptoms of ADHD. Pycnogenol has been found to be beneficial in the management of chronic venous insufficiency. The study included a double-blind phase in which 20 patients with chronic venous insufficiency were randomly treated with Pycnogenol (100 mg two or three times a day for 2 months)or placebo and an open phase in which 20 patients were administered Pycnogenol in the same dose. So, of the 40 patients; 30 were treated with Pycnogenol while 10 were given a placebo. A significant improvement in the heaviness and subcutaneous edema in the legs was observed in the patients treated with Pycnogenol. There was also a reduced venous pressure in these patients. Clinically, a reduction in the capillary leakage, subcutaneous edema, and perivascular inflammation was also observed. Hence, Pycnogenol can be considered an effective treatment for chronic venous insufficiency. Pycnogenol can be used for maintaining cholesterol levels within normal limits. It can help lower the LDL cholesterol levels and increase the HDL cholesterol levels in the blood. These effects of Pycnogenol can help in the prevention of diseases such as atherosclerosis, myocardial infarction, peripheral vascular diseases, diabetes, and stroke. The general dosage of Pycnogenol is as follows. * Once a day or up to 200 mg in divided two doses. Pycnogenol is considered safe when taken orally in a dose of 50 to 450 mg per day for one year. It can also be used for local application on the skin without the risk of side effects. The usual recommended duration of treatment for topical application is 7 days for Pycnogenol cream and 6 weeks for Pycnogenol powder. This medication may cause a few mild side effects such as dizziness, gastrointestinal disturbances, headache, and ulcers in the oral cavity. Early research suggests that Pycnogenol is safe when used during the third trimester of pregnancy. However, not much is known about its safety when used during early stages of pregnancy. Hence, pregnant women are advised to refrain from using Pycnogenol, especially in the first and second trimesters. Also, the effect of this medication on the infants when used by a breastfeeding woman is not known. Hence, its use should be avoided by the breastfeeding mothers. No cases of side effects have been reported caused by the oral intake of Pycnogenol by children. Pycnogenol can cause hyperactivity of the immune system. Hence, patients suffering from auto-immune diseases like multiple sclerosis (MS), rheumatoid arthritis (RA), or systemic lupus erythematosus should avoid using it to prevent worsening of the symptoms. High doses of Pycnogenol can increase the risk of bleeding. Hence, patients with bleeding disorders should avoid using this medicine.